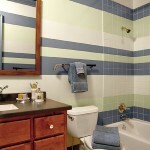 Painting horizontal stipes in a room not only makes it appear bigger, but it adds tons of visual interest without a lot of cost or effort. All you need is some good quality painters tape, a level, a friend (this is a two-person job), imagination and some time. Spice up your room by adding a metallic stripe, add lots of “WOW” for neutral furnishing by having a dynamic wall with lots of varied thicknesses and colors, or keep it simple and subtle by just adding a stripe in the same color as the base wall but in a higher sheen. The first step is to take a measurement of the wall (Image 1). For instance, if wall is 91″ high divide the height of the wall by five. Mark the wall every 18 inches (Image 2). Use a level to mark a straight line on the wall. Use painter’s tape just below the line marked so you will be able to paint over the pencil mark. 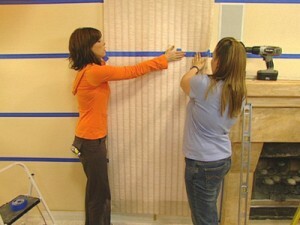 Press the tape edge firmly against the wall to prevent the paint from bleeding. Pencil mark the stripes that will be painted to eliminate confusion. Use a paintbrush at edges and roller in the body of the stripes. Remove painter’s tape while paint is wet to avoid paint peeling when dry. The finished room looks great! The party’s not ON the dance floor…the party IS the dance floor! 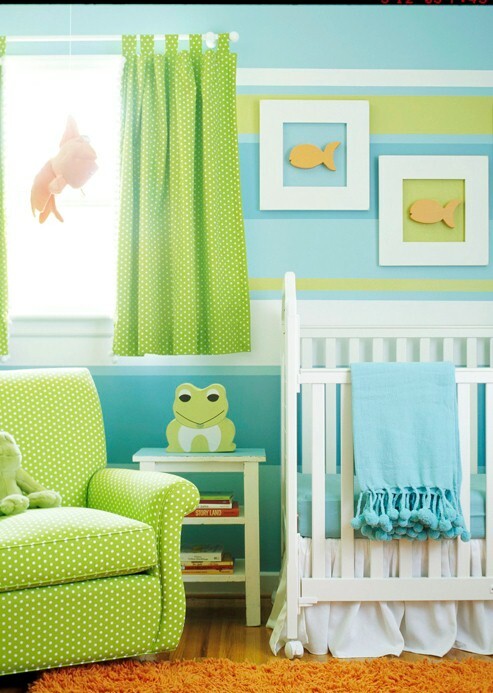 Affordable interior design help for the DIYer is available through eDECORATING!